Their wedding episode airs tomorrow, but Josie and Kelton Balka have an exciting announcement to make ahead of the show. They are going to be parents! Four months after saying "I do," the newlyweds are excited to share that their family will be growing. Baby Balka (that has a nice ring to it, doesn't it?) is due in July 2019, and Josie, who is 16 weeks along in her pregnancy, has been struggling with morning sickness, which seems to be common among the Bates women. That's all the information that has been released thus far, but we will share more details as we receive them. The couple has not announced the gender. InTouch has an announcement photo, which features Josie and Kelton holding balloons that say "Baby Balka," on its website. I totally guessed it!!! A big congratulations to Josie and Kelton!!! Praying your morning sickness goes over soon. Hearing your news brings back memories of when I was pregnant with our first one and how surreal that felt!! That was over 21 years ago!! I had bad morning sickness as well so my hubby did a fair bit of the cooking which was much appreciated, but I couldn’t stand the aroma of the food cooking and especially garlic powder (which he tended to cook with quite a lot) and I had to flee to our bedroom and close the door while food was being cooked or I would throw up! I usually managed to eat ok, as long as I didn’t need to be around the cooking food. Going to friends for meals or eating out was so lovely cuz I didn’t need to be around the cooking food!!! i was the same way with all of mine with garlic! i was lucky to never have had morning/noon/night sickness but the smell made me nauseous and i'd have to leave the room. my husband was a great cook and did all the cooking. lol, i had to ask him to cook anything without garlic just so i could smell something else! Me too! I knew it!! It sounds like she'll be the youngest Bates mum at 19! Same! I am happy for them but I know what it feels like to have siblings getting pregnant so easily and I can't help feeling for Micheala and thinking "man, when is it going to be her turn?!" Michael and Brandon suffer from infertility. From what they have shared medically and the length of their infertility it is unlikely they will ever have a natural pregnancy. I really hope they can find happiness being child free or look into other possibilities such as adoption or fertility treatment if they feel called to be parents. My point being at some point with infertility you stop hoping and more accept, at least that's how it was for me. Why are you going to bring Michaella into this pregnancy announcement. I get it, it’s sad, but this is not about her and it’s rude to not only the expecting couple, but also to Michaella when people bring her up every time one of her siblings get pregnant. Some people can’t have children it’s just a part of life. I have to say, that Michael was the first one I thought about as well... but my mom always told us kids, everything happens for a reason. I try to remember that now when difficulties in life happen. Congratulations to Josie and Kelton! I had horrible morning sickness with my son and didnt have it at all with my daughter. Hopefully it won't last much longer! 9:06- Yes, some people can't have biological children and it's just a part of life. Death is a part of life, too, but it doesn't make it any easier to lose a loved one. Infertility is much like experiencing a death, a death of the children you can never have. For you to so casually dismiss it is not very kind. One can argue the appropriateness of bring it up with this pregnancy announcement. However, I think there are many caring people who can't help but think of Michaela at the same time. Everything may happen for a reason but sometimes that reason is because we live in a broken world which means we have to deal with things like infertility, sickness, and death...none of which were part of God’s original plan for creation. He is generous in giving good gifts and blessings despite these things and He can redeem any situation for his glory and our good but I believe He is heartbroken when his people who he loves suffers through the consequences of a world riddled with sin. I don’t know why He allows some things to happen to us in this life but I live every day knowing he has given us the gift of eternal life where all will be restored. I was the opposite. Sick with daughter, 2 times only with my second - my son. I dont understand why people keep saying that Michaela suffers from infertility,that was never announced,in fact they have informed us that they have had tests done and nothing has been fiund and Kelly has said all in God's timing. 6:21- Doctors make a diagnosis of infertility after a certain amount of time has passed. It's usually after one year of unsuccessfully trying to conceive. Infertility is an effect of something else and many conditions can cause it, just as there are different treatments that can bring about a pregnancy. Sometimes a direct cause remains elusive and the infertility is never resolved. If you think about it, a woman past menopause are also infertile- a cause and effect situation. Infertility means not conceiving within one year of trying to conceive, this is different than being sterile. When the doctors don't find anything wrong that means our current testing is not advanced enough to find the problem, but there is definitely a problem. It's estimated that up to 40% of couples with infertility suffer from this unexplained infertility. Has Brandon been tested? This situation might have nothing to do with Michael. Yes, Brandon has been tested. They mentioned that at the beginning. It doesn't matter who it has to do with, they are a couple. 6:05. I have often thought this. Why have we only seen Michael tested as if she was the only possible cause? There are two in the relationship. Michael has been cleared so to speak. It very likely could be Brandon. As 11:45 stated, Brandon has been tested. Michael and Brandon had fertility testing done with a doctor in Chicago. They said that Brandon's tests came back normal. I doubt that they would have Michael go through a painful procedure like tube flushing without doing all routine testing. Don’t get all twisty11:45. It actually does matter whom the infertile member of the couple is. It’s not a criticism, but a fact. I have been through infertility treatments. Both my husband and I were tested because the Dr’s needed to know which course of treatment could or would be beneficial. They decided not to treat my husband with clomid, but chose me instead because I have the right internal lady parts compatible with that medication. It took awhile but we are blessed with beautiful children. I’m not sure that would have happened if we decided it didn’t matter which one of us needed help because we are a couple. I thought of them too. She has shared that she has mixed feelings when a sibling gets pregnant; another child to love, but sad that it seems it'll never be her turn. As for the infertility, from what they've shared it seems to be unexplained. She said she was open to adoption, and has often publicly thanked whoever says they are praying for them. I am poster 11:45. Personally, I've gone through 2 rounds of ivf so I do understand this stuff very well since my husband and I have had almost every test imaginable unfortunately with all tests coming back normal. People seem quick to say it's one person's fault or the other, but in reality fertility of a couple is often very complex often without clear answers. And just in general for fertility testing, a good doctor will test the man first since it is one of the cheapest and easiest tests. I've thought about that too and understand it to an extent personally due to my reccurent miscarriages. But I do not agree with whoever said that at some point you give up hoping. That is terrible if you have. I will never lose hope and besides that there has been many people go several years before having a miracle baby. God does work miracles. I know my situation is a little different as I do get pregnant, I've just never been able to keep them yet, but I will never give up hope. And what testing she has or hasn't had is none of your business. Congratulations Josie and Kelton on your pregnancy!Josie I hope you the morning sickness will end soon.God all three of you! Congratulations to Josie and Kelton on your bundle of joy, my son was born in July as well. Little Bahamas Balka on the way! They're going to have this baby right between their own birthdays...Kelton is July 4th and Josie is Aug 4th. That's fun! how awesome for them!! for some reason i'm thinking boy! Yayy!!! So happy for you guys! Congratulations that's exciting y'all will make great parents. i think she's got this! Yikes! She’s only 19, with a job and a husband who has a career and a wonderful support system and lots of experience and a maturity that surpasses most 19-year-olds and a love for children and a desire for a family! So? My aunt had her first kid at 19 and they’re all doing fine. We all believe Josie will be a wonderful and attentive mother and are happy she has a healthy pregnancy so far. I think some of us had just hoped Josie would have enjoyed married life as a couple longer, possibly worked on her career more or even followed some other passion for a bit. Because the truth is once that baby arrives it is number one priority and everything takes a back seat at least for a few years. Many women also do not work as hair dressers during pregnancy/breast feeding due to chemicals. 8:42 PM: I know, right!? Just like Kendra Caldwell Duggar, a mum at 19 in 2018, her own parents are born in 1978-1979, so they became grandparents at 19-20. And then her mum got pregnant again! I'm like best wishes to everybody, but it does look a bit out of the ordinary. When you become a parent who always put your child first. She will probably have more than 2 kids so is she prepared to not put herself first until she is about 50? Is she prepared to turn down girls night outs? I was married at 18, became a mother at 19 and have been happily married for 39 years. I also have a college degree and a fabulous career I embarked on after my children were in school. If that doesn't feel like a good "fit" for you - so be it. Please don't pass your "blanket judments" upon others who choose to live life differently. Wife and mom at 17, married 19 years with 12 kids! A year a way from finishing my BA degree all while homeschooling my family! @6:14 Gil and Kelly Bates have invested their entire lives into helping their children love God and others before themselves. Selflessness doesn’t just start at motherhood for them, though I understand your point that motherhood IS relentlessly demanding. However, I think your fears of Josie pining away for “girls’ night” is misplaced and, honestly, very reaching. 7:58- Congratulations on your happy marriage! However, personal success stories do not take away from the fact that young marriages as a whole are at much higher risk of failure. Financial problems are one of the main downfalls. That's just the reality of it. What another bates grand baby? Hold on tight!! Insults will be coming their way for having a baby so soon. May God continue to bless them and this precious new life. Not long ago she said she was too young to get married and now at nineteen, she's having a baby. Not sure what the rush is. Congrats anyway. God gave them the baby. I guess you should ask Him what His rush is. @7:37- There are countless babies conceived to people that are not expecting it, are not able to provide for it, are teenagers, are not emotionally ready to be a parent, or simply do not want to have children at all. I cannot believe that a logical God is "giving" out babies under those circumstances. If he is, what's his rush? @1:01 None of your stated specificities apply to the Balkas, so I’m not sure why you’re countering with inapplicable scenarios. They are ready and desiring of a baby, probably prayerfully, and God allowed their baby to be conceived. To answer your question, I don’t fully understand how the line where God’s sovereignty and people’s freedom of choice blends, but I do know this: we make choices, and He may not excuse us from the natural consequences of those choices, BUT every single situation for every single person is an opportunity to cling closer to God or harden your heart toward Him. Even pregnancies begun under difficult circumstances. Very well explained, Feb 14 5:25!! 5:25- So, your logic is that God gives babies only under certain circumstances, in this case the Balkas. Yet, he has nothing to do with it when a baby is born into an abusive home or other bad situation, and the innocent child becomes the "natural consequence" of the parents' behavior. Tragically, that same child becomes the victim of unfit parents in too many situations. This is not the work of a loving or logical God. God does not promise to work all things out for good for those who don’t love Him. He promises to work all things out for good for those who do love Him. Thankfully, each child is given the opportunity to choose to follow God, even if their parents didn’t choose that. On a different note, I’m not sure why you prefer a god who is lowered down to your understanding and logic. That would make that god no better than you and not quite worth worshipping. If you look to God with the expectation that He make sense to your finite perceptions of eternity, it is very understandable why you’d mock Him. But if you approach Him believing He is good and therefore His ways are good and usually beyond your ability to understand, then you allow yourself to rest, even in the scenarios that can be confusing, like why beautiful children are given to both the loving and unloving parent. @5:25; You believe that God allows blessings, but also allows bad things to happen as a form of natural consequence, if I understand you correctly. If it is within God's power to prevent the innocent from suffering, but not willing to intervene, then he is a malevolent being. Why would it make sense to cling to a hostile and spitful god like that? A time for hunger and genocide. The Bible tells us that as long as the earth stands this way, as long as mankind is free to sin, this world will be painful and without righteousness. Our hope is for the end. In the end, all of the terrible things men devise up against each other will be made right. God will have His holy vengeance and punish the wicked and exalt the innocent who suffered. The mistreated will be relieved. They may have eternity in perfection. The wicked will not. This too shall be made right. On earth now, this is the time of war, but at God’s appointed day of judgment, that’s the time of peace. However while on earth, we do have the Comforter during terrible times. The apostles knew this, experienced it, and died for it. The very ones who walked with Jesus believed His authority and promised so intensely that they allowed themselves to be tortured for that hopeful day of peace, in the end. Our hope is not wasted on the day when everything will change. I really appreciate your questions and the invitation they give me to examine why I believe the way I do. I hope you’re having a wonderful day. 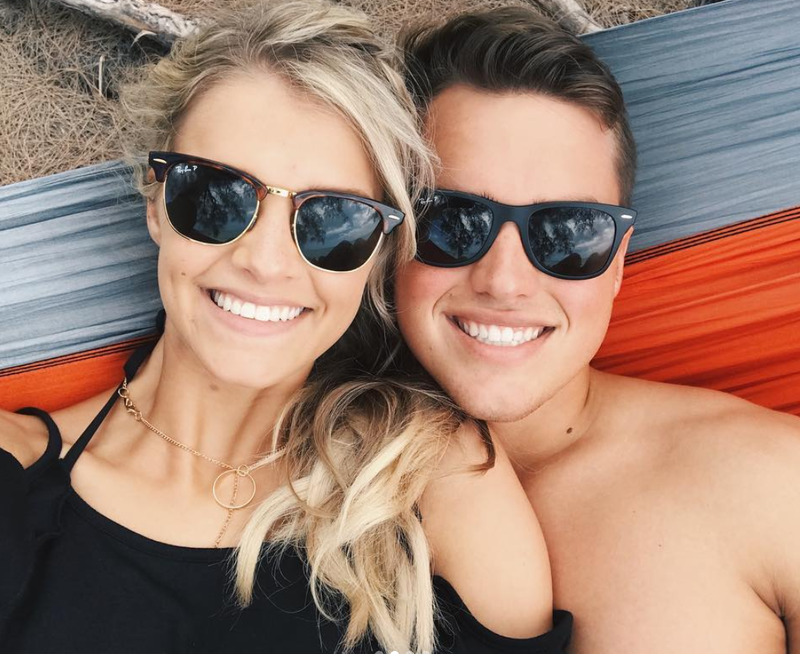 I feel like Bringing Up Bates and Counting On are turning into Teen Mom! They are having babies younger and younger! I know right, at this rate Mackenzie Duggar will have a baby before me. Only Josie bates is a teen mom. But the duggars are a different story, their daughters become mothers in the twenties but the daughters-in-law are becoming teen moms. I think all of the Duggar grandsons will have teen brides and and Duggar graandaughters will be teen moms. Except for jinjers daughters, Jeremy will never allow his daughter to marry so young. Why does their age matter as long as they are married before conceiving? There is nothing wrong with being a married teen mom. I was a teen mom at 17, been married going on 19 years after being told by family and friends in church that our marriage would only last 6 months to a year! We’ve been through many obstacles along the way but have a strong love for God, each other and all of our 12 kids. As that's so sweet. Congratulations! Congratulations Josie and Kelton! You will be great parents! Age doesn't always matter, I was told by people I was to young when I got pregnant with my son. Hope Josie gets over her morning sickness soon, and not have it her whole pregnancy like I did! So exciting! Congratulations! Can't wait to see how adorable their baby will be. And I love the picture with the balloons! So sweet! Babies should always be celebrated. But, it does seem these couples feel pressure to conceive on their honeymoons instead of giving themselves some time to just be a couple. I don’t think they feel any pressure to conceive on their honeymoon. Most of them just seem to conceive easily. If no one used birth control, there would be a lot more honeymoon babies. I wish they had waited a while, but hey, it isn't my decision. My only other thought is that in their instagram announcement they indicated it was unexpected but when no birth control is used, how can it be unexpected, unless it was a birth control failure? If they are happy, I'm happy for them. Guess they'll be looking for a bigger apartment now. LOL. Kathy- I have to agree with you. If you take no precautions, you stand a good chance of conceiving. The only surprise would be if you didn't become pregnant. You can still get pregnant with birth control pills my doctor told me that. Birth Control is to stop your period from been heavy. You could see it in her face in the last picture of them in NYC :-) She was glowing. So cool! Congratulations to all on this exciting nrws. Happy Valentine's Day Bates family from a country girl in Pembroke NC home of the Lumbee Native Americans. At this rate the youngest bates daughter will have a baby before me. 7:25. Have you been struggling to conceive for awhile? I know the heartache. I’m sorry. They seem like a nice young couple and I hope the best for them and their new baby. This is just an observation- With the emphasis on “letting God decide how many kids to have”, it would place pressure on these young couples to get pregnant right out of the starting gate. It must be very stressful when this doesn’t happen, especially while having your lives filmed for public entertainment. There isn’t pressure unless one believes children are the ONLY method through which God blesses. Children are A blessing, not THE blessing. No, letting God decide means that you don't have pressure. You accept whatever happens as God's will rather than trying to make things happen or not happen. It's quite freeing, actually. Leaving it up to God doesn't relieve a couple from heartache or feeling pressure. When one doesn't get pregnant after a period time there are questions about why they haven't gotten pregnant yet. Michael has spoken about nights crying and wishing to be a mother. She has also spoken about turning to God for understanding and accepting that this is part of His plan. Viewers add another layer with people constantly asking her if she is expecting. 11:03 &11:10- I do not believe that there is a higher power that is letting this or that happen to us, rather we are all at the mercy of time, chance, and our own decisions- one of them being whether or not to use contraception. Regarding the pressure these young people may feel about having children, I don't know how it could be avoided-especially since there's 19 of them and grandkids coming along with rapid regularlity. If the family is true to their word about letting God decide things, why do they pursue medical intervention when there are problems getting pregnant or maintaining one? I don’t understand this ideology of “letting God decide”. It seems they only do that if it fits their preferences. Why seek Dr’s for infertility? Why isn’t that considered “letting God decide” you don’t need children? It’s very baffling to me. @11:10 If that's the case, there'd be no need to seek medical attention for any reason because you're just leaving everything up to God and freeing yourself from making any decisions or "pressure". Obviously, there was pressure for at least two of the Bates daughters as they sought medical intervention for infertility or miscarriages. Furthermore, people can rationalize their large number of children as being something God decided for them, however the reality is it was simply a matter of a functioning reproductive system and choosing not to use any form of birth control. Leaving the size of your family up to God, in other words, not using family planning, is not the same thing as never seeking medical care. Wanting a child and seeking medical answers is not motivated by pressure, it's motivated by desire. @2:51- There is pressure involved with any decision making, especially when it comes to medical matters and if there are many options, or none at all. I know first hand the pressure involved with seeking infertility treatments.